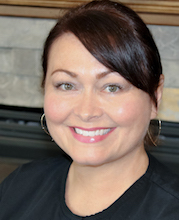 Amy has been working with Dr. Corpuz since 1995 Amy has two children, Christian and Grace. She became a proud grandma in 2016. Amy enjoys reading, going to concerts, movies, museums, and the zoo. She likes to play sand volleyball, attend Grace’s school events and traveling to new places.